Compare dip brands ALDI Deli, Black Swan, Chobani, Chris’ Dips, Coles, Obela, Red Rock Deli, Wattle Valley, Yumi’s, and Zoosh on factors including taste, value for money, consistency, range, packaging appeal and overall satisfaction. Canstar Blue research finalised in June 2018, published in August 2018. In a mouth-watering market, Obela has topped Canstar Blue’s customer satisfaction ratings for dips in 2018. 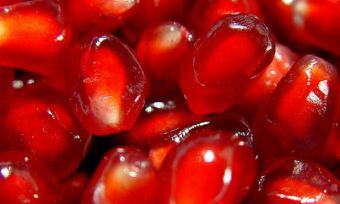 It was rated five stars for taste, consistency, variety/range, packaging appeal and overall satisfaction. Nothing can bring people together like a good food spread, with a packed nibblies table a sure-fire way to not only impress dinner guests, but get them excited for whatever else you’ve prepared. And when it comes to nibblies, few can top the simple combination of chips & dip, with enough flavours and blends available to suit everyone’s preferences. When it comes to choosing a brand and flavour of dip for your finger food, narrowing down the options while you’re in the supermarket aisles can prove a bigger ask than expected, particularly if you have to cater for allergies or picky eaters. And while making your own dip is an option, with 32% of respondents in our latest survey indicating that they like to make their own, popping down to your local supermarket and picking up a few tubs is arguably an easier option. The survey found that taste (43%), value for money (22%) and consistency (17%) are the biggest drivers of satisfaction for consumers, with variety/range (10%) and packaging appeal (7%) less important. Read on to find out just what each brand has to offer for your next gathering. Founded back in 2011, Obela has grown to become a global brand, offering households a range of dips, with hummus making up the bulk of the range. Available at major supermarket chains and independent retailers around the country, Obela is reasonably priced in the market, with a 220g tub generally setting you back between $4 and $5. Obela’s hummus range includes flavours such as classic, roasted pine nut, jalapeño, roast tomato and lime, caramelised onion, as well as basil pesto, with each product free from artificial flavours or colours, as well as being gluten and dairy free, making it a handy option for those with allergies. If you can’t get enough of classic hummus, Obela offers a 1kg bucket, available for just under $10. Other products include spreads and dips, including avocado and tzatziki, with Obela also offering split tubs, allowing shoppers to take home two different flavours in the one easy packet. Similarly, if you have a hummus craving while travelling, Obela offers a to-go pack, which includes wholegrain rice crackers in addition to a 100g tub of spread. The home brand of German supermarket chain ALDI, the ALDI Deli Original dips offer those partial to an ALDI grocery shop an option when it comes to catering for home events and dinners. Offering a number of flavours, including guacamole, hummus, spicy pumpkin, tzatziki, spinach and more, ALDI Deli Original dips are also cheaper than some brands, offering a more budget-friendly option for households. Ingredient lists and nutritional information are also available via ALDI’s website, making it easier to cater for those with allergies. 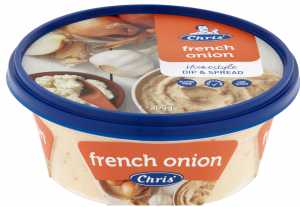 Founded and operating in Australia since 1982, Chris’ Foods covers a range of food products, including dips, yoghurts and other snacks – all made locally. Chris’ Dips are available at major supermarkets and independent grocers, with details available on their website if you’re after a specific product. The bulk of Chris’ Dips come in the form of the Homestyle range, which includes a variety of flavours to suit every tastebud and occasion, helping you to impress at your next big gathering. Flavours include favourites such as avocado, French onion, hummus, spicy capsicum and spring onion, with others such as corn relish, three olive and tzatziki also available. All flavours are available in 200g tubs, with Lite and 100g snack tubs also available in select flavours. If you’re looking for something different, Chris’ Dips offers the Festivale range, which includes flavours such as smashed avocado, sweet potato and coconut as well as spicy green pepper and feta, all similarly available in 170g tubs. As with the Homestyle range, the Festivale range should cost between $3 and $4 depending on your local supermarket. Chris’ Dips also offers a number of savoury dips for those looking for something to spice up their next gathering, including flavours such as blue cheese and fig, vintage cheddar and caramelised onion, as well as goat’s cheese and black truffle, with each available in a 170g reusable terracotta pot. More expensive than Chris’ other products, the savoury range will cost you close to $8 at the checkout. Chris’ Dips provides a full list of ingredients, storage instructions and recipe ideas on its website, making catering easier for parties. To help with the catering, Chris’ also offers crackers and snack packs for those on the go, helping you to sort any food occasion. A subsidiary brand of Bega Foods, Zoosh provides a number of food products, including salad dressings, chutneys and dips, allowing you to create a spread that will impress your next guests. 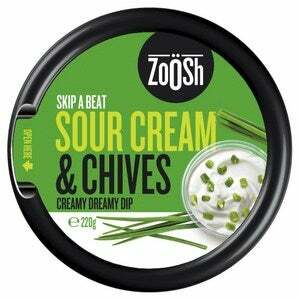 Zoosh’s dip range includes flavours such as sour cream and chives, smoked salmon and dill, along with the classic French onion. Generally priced at $3 per 185g tub, depending on which supermarket you visit, Zoosh is competitively priced in the market, although may not offer the extensive product range of some brands. 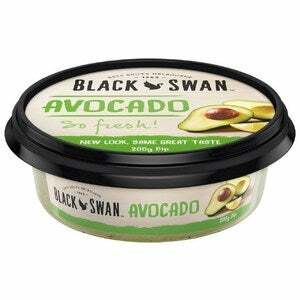 Founded over 30 years ago, Australian brand Black Swan is available at supermarkets and local grocers around the country, with a wide range of products including yoghurts and dips available for consumers to load up their shopping trolleys with. Black Swan’s dip range is split between the Classics range, as well as the Crafted range, each with plenty of variety. The Classic range contains fan favourites such as French Onion, spring onion, hummus, capsicum, as well as avocado, with caviar, corn relish, olive and tzatziki also available. For those looking for something a bit different, the Crafted range has flavours like sweet potato & cashew, baby spinach & feta, beetroot tzatziki, as well as bacon & caramelised onion, along with a number of additional flavours. Prices are at around $4 per 200g tub. Black Swan outlines ingredients and nutritional information on the website, as well as ideas for what to pair your dips with, giving you options for when it’s your turn to host. Founded in 2002, Red Rock Deli might be better-known for its chips, but expanded in 2011 to include a number of dips to help sort out the nibblies table. Operating under the Smith’s brand, Red Rock Deli dips can be found at most supermarkets and local grocers. While it may not have the traditional range that other brands offer, Red Rock Deli provides a number of flavours to keep you coming back. Flavours include basil pesto, roast pumpkin and caramelised onions, roast tomato and feta, spicy mango and lime, along with Thai chilli and lemongrass, offering customers a different take on the traditional dips & chips. Priced at just under $5 per 150g tub, Red Rock Deli may be more expensive than some brands, but could be the choice for consumers after something a bit more adventurous. Operating under the Menora Foods brand, Wattle Valley offers a number of dips, divided into different types and ranges to give consumers plenty of choices, in addition to the brand also offering a number of pairing products such as cheeses and dipping breads to make a complete spread. 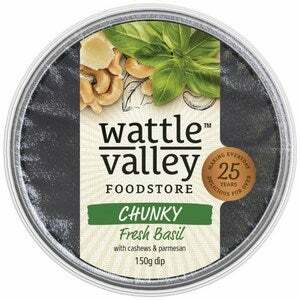 Wattle Valley’s dips are divided into three series, including Chunky, Delish and Gourmet dips, each with a number of flavours for plenty of variety. The Gourmet range includes flavours like French onion, garlic and chives, and sweet chilli, in addition to crème fraiche, while the Chunky range offers flavours such as basil, chilli, as well as capsicum and feta. 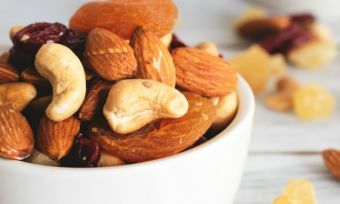 The Chunky range is the most expensive of the three, generally setting you back just under $5 for a 150g tub at local supermarkets and grocers. 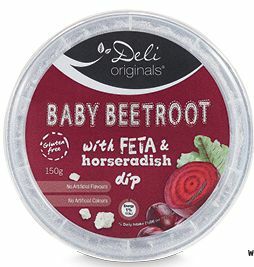 Wattle Valley’s Delish range costs a little less, around $4 per 200g tub, with available flavours including baby beets, baby spinach, spicy capsicum and roasted pumpkin, all with feta for a smooth texture. 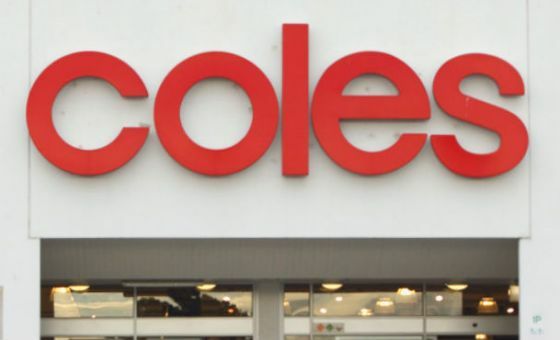 Offering one of the cheapest ranges available on the market, Coles brand dips start at $2 per 200g tub, making them ideal for those on a budget, as well as those who frequently shop at Coles. With classic flavours such as hummus, avocado, tzatziki, French onion, cheese and chive, spicy capsicum and dried tomato, Coles also offers a gourmet range. Gourmet flavours include basil pesto, trio of olives, and roasted capsicum, along with baba ganoush, all priced from $2.50 per 150g tub. If you’re a big fan of the avocado dip, Coles also provides a 3-pack mini tub packet, containing three 60g tubs for $2.50. 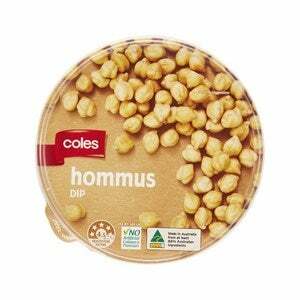 Coles outlines ingredients and nutritional information on its website, with no artificial colours or flavours added into their dip products. 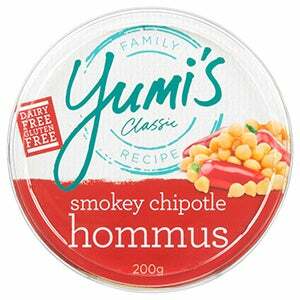 An Australian brand, Yumi’s started in Melbourne, before expanding into all areas of Australia, with dips found at supermarkets and local grocers. Offering a wide variety of flavours, Yumi’s is also competitively priced within the market. Yumi’s classic dip selection includes carrot, hummus, sweet corn, red capsicum, olive, sweet potato & ginger, spinach, roasted beetroot, and avocado, along with additional flavours, all priced at around $4 per 200g tubs. If you’re a big fan of its dips, Yumi’s also offers a range of 2kg tubs for selected flavours, although they may not be available at all stores. 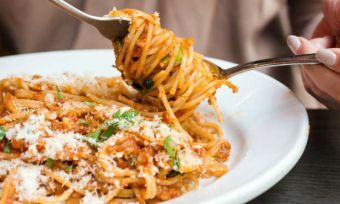 Yumi’s provides a range of recipes on its website, plus ingredient lists and nutritional information. 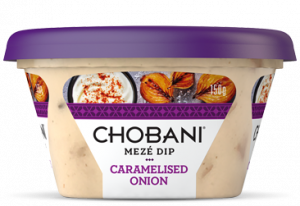 While the majority of its product range focuses on yoghurts, Chobani has expanded into dips, offering a number of products and flavours for all occasions. 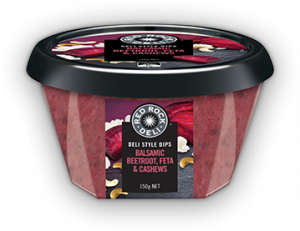 Including flavours such as beetroot dill, caramelised onion, herbed tzatziki and spiced capsicum, all are available in 150g tubs. Chobani provides nutritional information and ingredients via its website, allowing those with allergies to ensure they stock up on the right dips. Which dip should I buy? While dips are often a party-favourite for many households, narrowing down your options for which one you ultimately scan through the supermarket checkout can take away from the excitement of munching down on some chips and dips. Ultimately, whichever brand of dip you end up stocking up on will depend on your personal preferences, as well as those you’re catering for. 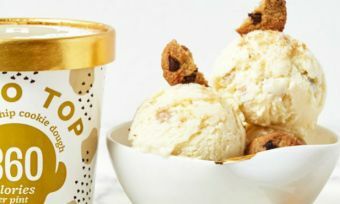 With most brands offering a number of different flavours, as well as capacity sizes and textures, it may also come down to how much you’re willing to spend on a tub. With most brands offering nutritional information and ingredients online, doing your own research, as well as taste-testing, may prove the easiest way of finding the best brand for you. 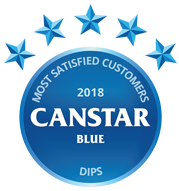 Canstar Blue surveyed 3,089 Australian adults across a range of categories to measure and track customer satisfaction, via ISO 26362 accredited research panels managed by Qualtrics. The outcomes reported are the results from customers within the survey group who have purchased and eaten a dip from a supermarket in the last month – in this case, 1,470 people.